When it comes to helping protect the environment, the maxim "every little bit helps" is certainly apt: There are so many small yet effective ways that you can contribute to environmental protection. From recycling to careful water use to energy consumption reduction – the fight to save the environment starts at home! Better still, homes that are more eco-friendly are growing in demand from buyers, with green features in particular being a considerable draw, a New York Times article reported. Interest in green-friendly homes is especially notable among younger buyers, a Long Island realtor, Jolie Powell, told the publication. Leading British newspaper, The Telegraph, interviewed DIY expert and television host George Clarke, who stressed the importance of proper attic insulation to prevent energy loss – especially in the winter months, as the heat from your HVAC system rises into the attic. Without adequate insulation the heat will escape, driving up your energy bills. Clarke advised that making the insulation even more eco-friendly by ensuring that the material is recycled. In addition to reducing your overall energy use, you'll notice that your heating bills begin to drop considerably. Energy is easily lost through cracks in walls, window frames and door frames. A cost-effective way to prevent this from happening, preserving energy, is to use caulking around windows and sealant in any place that you can find a crack, the U.S. Green Building Council explained. "Without adequate insulation heat will escape, driving up your energy bills." According to Real Simple magazine, composting buckets can be used in your kitchen. Simply discard food waste in the pail, and once it begins to break down, move it outside to another compost bin. Once enough has accumulated it can be used in your yard! Not only are you doing something good for the environment, you are saving money on compost that you might otherwise buy at your local home goods store. Simple, yet effective, making the switch to LED lighting is a great way to save on energy, the source Energy Informative explained. Florescent lights are also similarly effective. The bulbs last longer and can reduce your use of electricity by up to 80 percent in some cases. Most leading home goods stores stock LED and florescent bulbs, so there's no reason why you can't make the switch to this green-friendly option. It can be tempting to leave the heat running at home while you're at work during the winter months, so that you have a nice cozy home to return to. This is a bad idea, however, for the environment and your wallet. According to House Beautiful, an effective way around this is by using a thermostat timer. With this device you can have your heat turn off while you're at work, and then turn on again shortly before you arrive home. This way you can return to a warm home and still save on energy. According to Real Simple magazine, water aerators can help reduce the amount of water you use. Better still, they are highly cost effective and can be easily attached to your faucet. The source noted that water aerators can cost as little as $3. 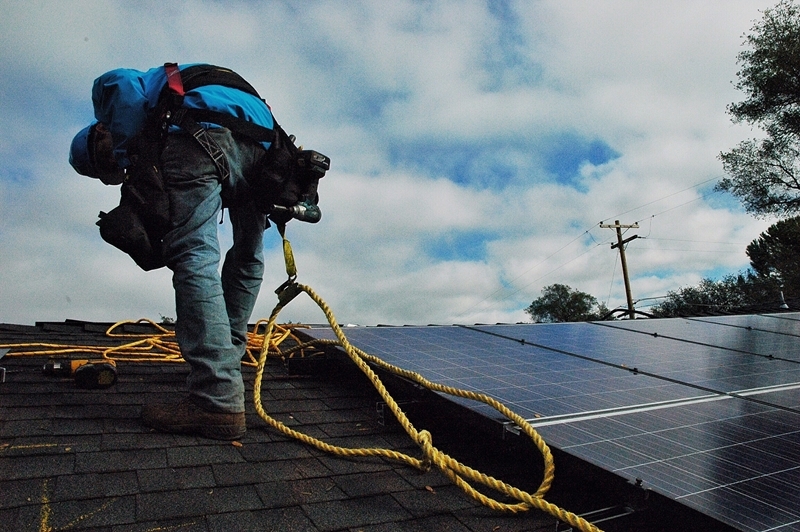 Installing solar panels is an effective strategy. If you're moving home or redecorating, one notable way to reduce your carbon footprint is to use green-friendly furniture, the Telegraph advised. This essentially means furniture that is constructed from materials that have been recycled. The source noted that while this kind of furniture is still relatively rare, demand will likely grow as environmental awareness becomes even more commonplace. A less cost-effective option, although more impactful in terms of going green, is to install solar panels The Telegraph advised. The strategy is particularly effective if you live in a climate where sunshine is plentiful. Perhaps one of the most simple ways to help reduce energy use to pay attention to how electricity you are consuming. This means switching off lights when leaving the room, and unplugging electronic devices if you plan to be away from home for an extensive period of time. The Telegraph reported that certain products are now available to buy that can actually provide you with accurate readings of how much electricity you are using, and wasting, on a daily basis. If at all possible, try to find ways to limit your use of air conditioning in the summer. An effective strategy, particularly at night time, is to use your ceiling fan. Pulling your curtain or shades during the daytime can also help keep the room cooler. When was the last time you took a long, hard look at how your home uses the energy you're paying for? Energy consumption may not always be at the top of a homeowner's mind, but it's an important trait in any house. Whether it be natural gas or electricity, reducing utility use isn't just healthy for the environment, but it's beneficial for your wallet, as well. Energy efficiency number, also known as the Home Energy Rating System index. Detailed information on how the aforementioned figure will improve based upon renovations you plan to make. The typical newly built home is given a HERS rating of 100 and is used as a jumping off point for evaluating energy consumption, according to the Residential Energy Services Network. If your home receives a score of 80, that would mean it's 20 percent more energy efficient than the standard. Likewise, getting 120 would mean the house is 20 percent less efficient. It's time to take some real steps toward improving energy efficiency instead of just unplugging appliances when they're not in use. Now that you have an idea of how energy efficient your home is—and what changes will have a lasting impact—it's time to get started on improving your home. In terms of saving money, perhaps the most important upgrade you can make is installing a smart meter, the U.S. Department of Energy reported. Utility providers upcharge for electricity used during peak hours, usually from 9 a.m. to 5 p.m. This means that running your dishwasher during the day while you're at work could be considerably more expensive than turning it on at night. A home energy management system allows you to program exactly when and how you want to use energy during the day and at night, giving you total control over how much you're charged. With how far technology has advanced over the last few decades, the next part is easy—start installing energy efficient appliances. Be sure to check and compare the kilowatt per hour consumption of each new piece of equipment you buy with your old one, whether it be a dishwasher, clothes dryer or refrigerator. Nerd Wallet reported that just because it has the Energy Star certification, doesn't necessarily mean it's an improvement over what you already have in place. Those looking to make energy efficiency improvements to sell their home may want to renovate the insulation or windows to trap more heat. While these can be expensive projects, energy-conscious homeowners will pay a premium for them and the savings over time will help to return the investment. Finally, don't forget to take another look at your water heater, lighting, heating and cooling. 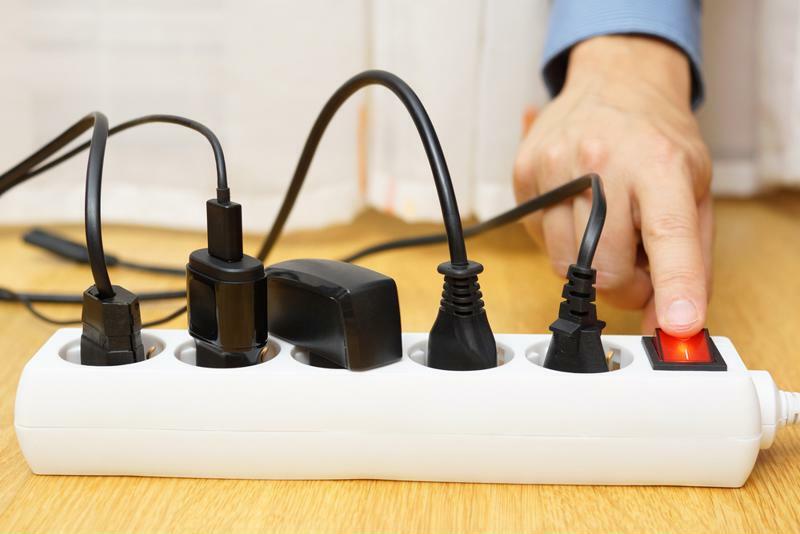 According to the DOE, these can all have sizable impacts on how much energy your home consumes. You may have noticed one of the biggest trends in homeownership: energy efficiency. Buyers, sellers and current owners all care about eco-friendly upgrades, and for good reason. A more energy-efficient home will not only have a smaller impact on the environment, but it is also more affordable when the bills are due. Energy efficiency has been taken to a new level, however, with the advent of the Home Energy Score, implemented by the U.S. Department of Energy. Think of this score like a grading system for individual houses. After an in-depth home inspection, the final score provides a quick snapshot for buyers and homeowners to reference when assessing the property, deciding if they want to buy or making any relevant changes to the property. Homebuyers have a vast array of information at their disposal when searching for a new property. Between home features, neighborhood comps and the home inspection, there's a lot to consider. The Home Energy Score is one more factor to look at, giving a quick view of the property's energy efficiency as well as how it stacks up against other properties nearby. "The Home Energy Score gives a quick view of a property's energy efficiency." According to the DOE, the score itself is on a one to 10 scale. A one is the lowest score available, and means that the home is not energy efficient at all. Naturally, a 10 would be fantastic. One bonus feature of the score is that it also includes a new rank if certain upgrades were made, like switching out windows and replacing the roof. Therefore, homeowners and buyers can see where the home currently sits and where it could end up. When analyzed, this information is a wonderful way to decide if a home fits into your budget or if it is overpriced for its qualities. What goes into a score? By now you might be asking what actually makes up the Home Energy Score. As explained by the DOE, several elements of the property are taken into consideration. In addition, an inspector will look at the heating and cooling system, along with the hot-water system. By checking out these components, the assessor can put together an estimate of the home's total energy usage and recommendations for improvements. Some changes are obvious, like sealing windows and doors or adding more insulation to the attic. Others could be harder to spot, like fixing a damaged foundation or replacing an aging HVAC system. Feel free to contact Alban Inspections should have any interest in a Home Energy Score. We're watching this trend closely and can provide more information if you're interested! Swimming pools offer sweet salvation from the sticky summer heat. Of course, these sparkling blue saviors require a lot of maintenance, and for good reason. Every year, thousands of Americans contract recreational water illnesses while swimming in contaminated pools, according to the Centers for Disease Control and Prevention. Most pool owners find floating debris to be an aesthetic blight and nothing more. Unfortunately, this simply isn't the case, as pool debris contaminates water with harmful bacteria. Fortunately, there's an easy fix to this common problem: skimming. You've probably got a stock, hand-held pool skimmer that can do a decent job. But if you want to perform a more thorough cleaning, you can always modify your skimmer by stretching a pair of nylon stockings around its baskets, Trulia reported. This will enable you to scoop up smaller particles, including dirt, sand and stray human hair. After you've collected all the debris you can, be sure to dispose of it far away from your pool – you don't want a sudden gust of wind undoing your work. Additionally, if you find yourself regularly skimming for leaves or other organic bits from nearby shrubbery, consider relocating those plants, This Old House suggested. Keep your pull clean by regularly skimming it for floating debris. Most in-ground pools come equipped with pumping and vacuum systems. The latter are especially effective for cleaning up submerged debris stuck to the pool bottom. To get started, connect your vacuum attachment to its accompanying hose, then submerge both. You want water to pour out of the free end of the hose. Finish up by attaching that end to one of your built-in pull skimmers. When vacuuming, move across the bottom of the pool using long, parallel strokes. The entire process should take around 30 minutes. Unlike vacuums, pool pumps do all the work on their own. However, they still require occasional maintenance. You should regularly clean your pump filter and monitor its performance. Even if your pump is up to par, you might consider swapping it for an energy efficient model. Your pool pump can account for as much as half of your total home energy consumption during the warmer months, NBC News reported. If you'd like to improve your home's overall energy efficiency, adopt a pump with less horsepower – a 0.75 horsepower model will work just fine, according to the Department of Energy. Additionally, switch out your current filter for a larger version that can catch more debris. If you're weary of making drastic changes to your pool pump setup, you could always install a timer to facilitate more efficient cycling periods. Of course, keeping intakes clean and free of debris will also help, as your pump won't have to work overtime pushing pool water through clogged grates. Getting rid of visible contaminates is only half the battle – you must also address microscopic bacteria. Seemingly clean pools can contain harmful bugs, such as E.coli, or incubate and spread illnesses from sick pool goers. Chlorine is obviously the solution here, as the chemical kills bacteria and puts an end to algae. Chlorine kills harmful bugs and puts an end to algae. 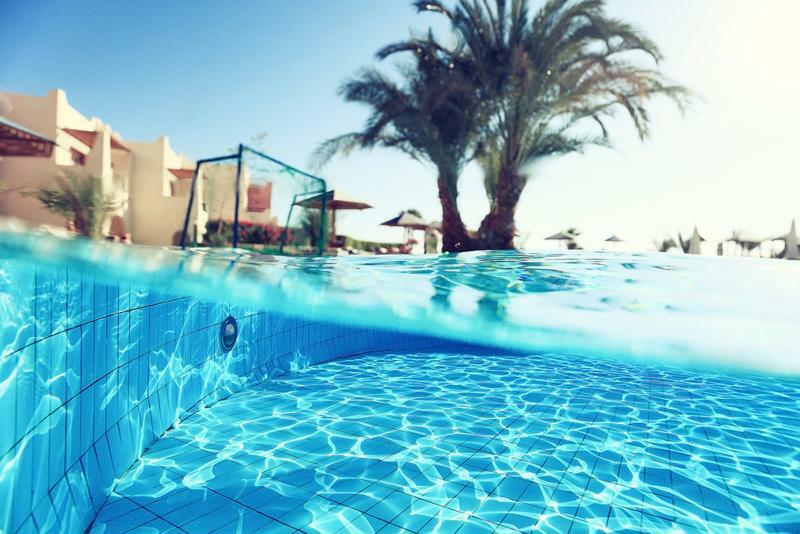 There are several methods for dispersing chlorine in pool water. However, most people opt for easy-to-use chlorine tablets, which are normally placed in built-in pull skimmer baskets. Once you've added the recommended dose, be sure to test your pool pH levels. Readings from 7.4 to 7.6 are ideal. If you get something out of this range, adjust your water by adding muriatic acid for pH readings above 7.6 or soda ash those under 7.4. Test your water a couple times a week to make sure you're in a good spot and maintaining a healthy aquatic environment. Your swimming companions will thank you. To perform a proper inspection, you're going to need some gear. Gather a pair of gloves, a flashlight and flathead and Phillips-head screwdrivers for probing, Popular Mechanics advised. If you're planning to inspect an area you believe to be structurally unsound, get yourself some head protection as well. Once you've assembled your equipment, formulate an inspection plan. Evaluate the exterior and interior of your home, focusing on essential architectural features such as the foundation and roof. Additionally, be sure to collect important information about your property, the American Home Inspectors Directory suggested. You need details, such as its date of construction, to contextualize what you ultimately find. "Evaluate the exterior and interior of your home, focusing on key architectural features." Begin your DIY inspection by reviewing your home's exterior features. First, check key problem areas that could immediately impact curb appeal, the National Association of Realtors recommended. For instance, ensure that your drainage system is working properly and preventing pools of moisture from collecting in the yard or beneath paved areas. Additionally, inspect your walls for cracks or other imperfections. You might also consider checking your windows to see if they're properly sealed and energy efficient. Next, move inside. Most home inspectors start with the basement, so follow their lead and do the same. While you're down below, check the walls for leaks and look for cracks in the foundation. Then, scan the ceiling above to assess the condition of the exposed joists. Move up and through the rest of your home, focusing on rooms with major electrical or plumbing features. If you uncover something outwardly fishy during your DIY inspection, call a professional home inspection company and schedule time with a certified inspector. These individuals can look over the areas of concern and complete more in-depth tasks, such as reviewing complicated electrical features, searching for mold and performing radon testing. Many homeowners experience higher utility costs during the summer, as they switch their cooling systems into overdrive to fight off 90-degree temperatures and high humidity. Unfortunately, most fail to realize that this annual price hike is preventable. Often, cool air sneaks out of improperly sealed windows and doors, the National Resources Defense Council reported. Luckily, fixing this problem is easy. Start with the windows. First, visit your local home improvement store and purchase some caulk and a caulk gun. Make sure to select a more viscous blend, as watery caulk is hard to apply and, in most cases, effective for only short periods of time. Before you start applying the liquid sealant to your window frames, practice on some scrap wood or paper – even individuals with the steadiest of hands have trouble applying clean beads of caulk. Sealing up doors is a bit easier and certainly requires less manual labor. Weatherstripping is the best solution for movable features, the Department of Energy found. Prior to application, clean the dust and other debris from the edges of your doors – weatherstripping, which uses gel adhesive, only works if applied to clean surfaces. When it comes to selecting the appropriate solution, you want to look for weatherstripping that can withstand constant friction and regular temperature changes. Additionally, there are a variety of materials to choose from, including felt, foam and vinyl. If you aren't comfortable permanently affixing weatherstripping to your thresholds, you can always go with magnetic door sweeps. 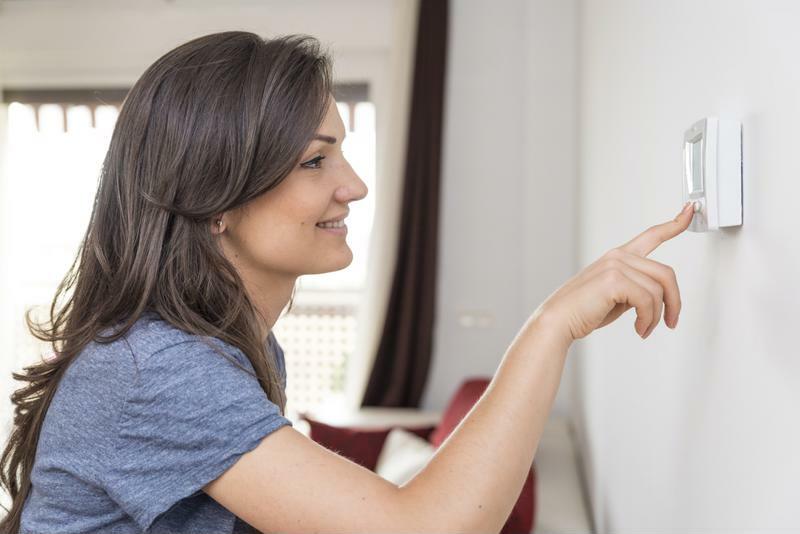 Programmable thermostats improve home energy efficiency. Most homeowners believe air conditioning is the key to staying comfortable during hot, humid summers. This simply isn't true. Facilitating air circulation is actually more important than maintaining low indoor temperatures. As a result, experts advise homeowners to install ceiling fans in key common areas and bedrooms. These low-cost, wind-generating accessories can sometimes take the place of central cooling systems. Plus, they use 90 percent less energy than most air conditioning units. And, on top of all that, installing them is a breeze. Once you've installed your ceiling fan, make sure to put it on the counterclockwise setting. This allows the fan to pull cool air from the floor and move it around the room. Of course, if you absolutely must use your air conditioner, install a programmable thermostat to make it more energy efficient, U.S. News and World Report suggested. With these devices, you can configure automated shut off times to correspond with periods when you or your family are out of the house. Most programmable thermostats will save you almost $200 per year. Indoor lighting fixtures equipped with traditional light bulbs give off an immense amount of heat. In the summertime, when temperatures are already cracking the 90-degree mark, this extra energy release can make already uncomfortable indoor conditions unbearable. To prevent this situation from occurring, switch off interior lights at dawn. If you want to take it a step further, try replacing stock bulbs with energy-efficient alternatives like light-emitting diodes or compact fluorescent lamps. These use 25 to 80 percent less energy than traditional incandescent bulbs and last up to 25 times longer. Plus, they give off less heat. "Try replacing stock bulbs with energy-efficient alternatives." Exercise similar restraint when working with heat-emitting kitchen appliance such as ovens. When dinner time rolls around, try grilling outside – you can help save the world and keep your home cool. If you're serious about improving your home's energy efficiency and want to make large-scale improvements, contact your local utility for help. Most offer rebates or incentives to homeowners with such objectives in mind and offer reimbursement for a wide range of services, including energy auditing and insulation installation. For instance, Maryland partnered with local utilities in 2008 to start the EmPOWER Maryland program, which provides financial incentives to local home and business owners interested in implementing energy-efficient property improvements. Stay cool and save money this summer by adopting these energy-efficient strategies. In the summertime, lawn care takes precedence over other household chores. In fact, during these warmer months, Americans devote almost 20 minutes per day to tending their lawns, the Bureau of Labor Statistics found. Many spend these moments implementing meticulous grass-growing strategies designed to yield the straightest, most verdant blades imaginable. The luscious green lawns on those magazine covers you gawk at while checking out at the home improvement store are products of carefully crafted fertilization and seeding schemes. Luckily, with a little research and work, these strategies are easy to replicate. First, you should find a fertilizer blend that melds with your grass type, Today Home suggested. Once you've picked your preferred feed, purchase a spreader and get to work. Lawn care experts advise homeowners to fertilize only once or twice per year. This schedule will save you from addressing the over-growth that comes along with constant feeding and enable you to hold onto cash you'd normally spend filling up the mower or buying more fertilizer. Plus, longer grass blades grow deeper roots and block evaporation, preventing water from leaving the soil. You'll end up using less water – a savings that will most certainly improve your home's energy efficiency. Some homeowners replace their lawns with landscaping features or paved walkways. Many lawn aficionados put a lot of thought into how they feed their lawns but rarely consider the tools they use to trim them. This careless methodology doesn't normally result in luscious grass, as mower maintenance directly correlates to overall lawn health. Before you slice a single blade, make sure your mower is ready to roll. Drain the gas tank and oil pan to remove any overly viscous fluid capable of causing engine damage. After replacing these fluids, swap out the spark plug and clean the air filter. Next, move onto the actual cutting components. Obviously, be very careful when handling your mower blade – even dull ones can send you to the hospital if you're not careful. Remove the blade and send it off for sharpening, Scotts advised. Blunted blades shred grass and produce mangled blade tops that quickly turn brown. Additionally, adjust your mower height. After trimming, grass should be between 2 and 3.74 inches tall, Michigan State University reported. 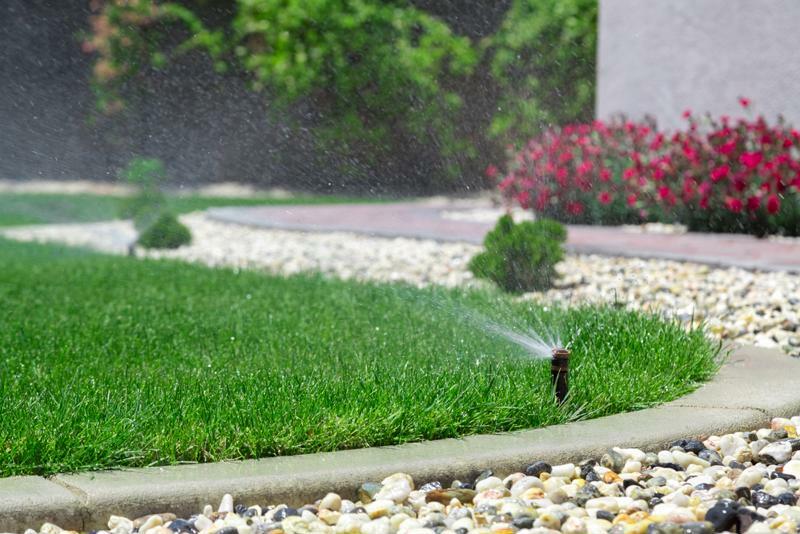 Most lawns require 1 to 1.5 inches of water each week, Consumer Reports found. Of course, that doesn't mean you need to turn your sprinklers on full blast for hours at a time. Instead, keep track of the weather and hold off on days you expect rainfall. Again, this will save you an immense amount of water and reduce your utility bills. "Morning watering sessions give lawns time to dry before nightfall." When you do need to water, set out your equipment between 5 and 10 a.m. During this window, the sun is at its lowers point, meaning your precious tap water won't be instantly evaporated. Plus, early morning watering sessions give lawns ample time to dry before nightfall when harmful, moisture-hungry funguses appear. If you're tired of maintaining your problematic lawn, you might consider reducing its size. Many homeowners replace large swaths of grass-covered ground with gardens, patios or trees, all of which require less work. For instance, flower beds are better at holding in moisture and can survive with only periodic maintenance. Plus, landscaped areas also improve home energy efficiency, the Department of Energy discovered. Some studies show that they reduce air conditioning costs by as much as 75 percent. With these tips in mind, carefully consider your options and decide the best strategy for defying mother nature. Summer is nearly here, which means friends and family will soon fill your patio to chow down on grilled goodies. Of course, for most, such get-togethers only occur once or twice throughout the warmer months. However, if you're serious about improving your home's energy efficiency and helping out the ozone layer, consider making a more substantial commitment to outdoor cooking. You'll see serious financial benefits and feel good about helping your fellow humans. But, before you stock up on propane and pop a tent in your yard, look over a few energy-efficient, eco-friendly grilling guidelines. For grilling novices and part-time hosts, charcoal seems like a major hassle. And, you have to admit, lugging around coals and lighter fluid seems excessive when you can open a propane bottle and get things started with the push of a button. However, from an environmental perspective, charcoal grills are far superior to their gaseous grilling brethren, The New York Times reported. Charcoals are composed of wood and, when burned, release the same amount of carbon as the tree from which they came. In short, by burning wooden coals, your actually returning missing, naturally-occurring carbon to the atmosphere. On the other hand, gas grills send up extra carbon. However, when you go to purchase charcoal, make sure you get the kind made from wood. Don't go for charcoal briquettes. These are made from coal and, as you can imagine, are terrible for the environment. Additionally, charcoal grills are superior to ovens when it comes to home energy efficiency. They cook food faster, as direct heat always beats out convection. Charcoal grills also require no gas or electricity to operate. Vegetable kebabs are an eco-friendly alternative to red meat. No matter how you slice it or prep it, red meat will always be harmful to the environment, Vox reported. The work that went into producing the scrumptious T-bone steak you've got resting in your fridge negates any eco-friendly cooking method you might use. Experts project that livestock producers are responsible for around 7 percent of total global carbon emissions, according to The Guardian. So, expand your palette by grilling up some vegetables instead. Vegetarian kebabs are a nice alternative. Meatier vegetables like onions or green peppers are best paired with fungi and starch. Speaking of starch, avoid using your stovetop when prepping staple sides like potato salad. Boiling a stock pot of water wastes a huge amount of energy, so roast your potatoes on the grill instead, The Huffington Post suggested. With this method you'll not only save money on your electric or gas bill, but also add flavor. Most grill masters love looking out upon nicely-spaced food formations. It makes sense – those diagonal grill marks make food look extra tasty. Of course, this brand of grilling makes little sense when you consider the environmental implications. Why spend more sending extra carbon into the atmosphere when you can cook all of your food in one shot? 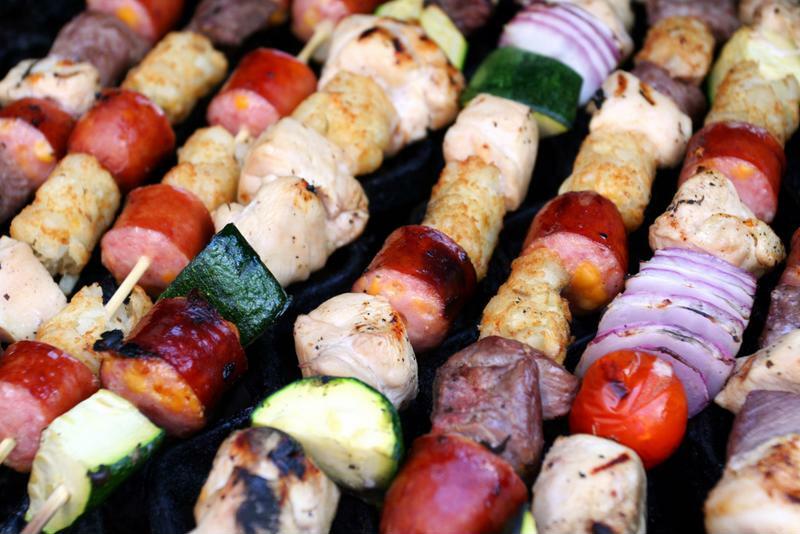 Fill your grill with as much food as possible to reduce cooking time and environmental impact. Additionally, apply this thinking to food items you wouldn't normally use your grill to prepare. For example, pre-cooked dishes like baked beans or macaroni and cheese don't have to take up residence in your microwave. Just put them in heat-resistant vessels and set them on your grill grates. This way, you can achieve the ultimate savings trifecta by conserving your cash and time while also helping out the atmosphere. Want to find more ways to boost your home's energy efficiency? Schedule time for a home energy audit to see other ways you can improve. Also, throw an extra kebab on the grill for your inspector. Thinking about testing the housing market? Planning a property tune-up? Well, improving your home's energy efficiency might be a good idea. Plus, the weather is perfect for such a project – the temperatures are cool and the kids are still at school. First, focus on existing fixtures and look for possible improvements. 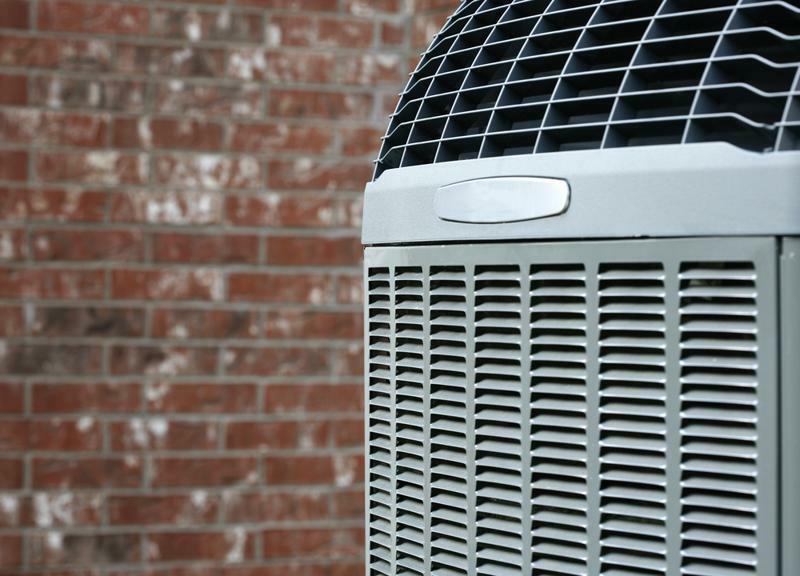 With summer a few months away, your air conditioning unit should a central concern. Start by replacing your unit's filters and cleaning its evaporator coils, U.S. News and World Report recommended. Additionally, check its refrigerant levels – you might need to add more freon. If you're uncomfortable doing these tasks, you can always call an AC technician. Just make sure to maintain your cooling system. Such maintenance can reduce your AC energy consumption levels by as much as 15 percent. Next, move on to your water heater. Most homeowners use this appliance year round, so your unit may need some tender, loving care. Experts recommend draining 25 percent of the tank to flush out detritus. Also, knock down the temperature setting to make your hot water usage more efficient. Regular AC maintenance will save you serious money and improve your home's energy efficiency. Exterior and interior lighting fixtures with traditional incandescent bulbs consume a lot of energy and burn out quickly. The Department of Energy suggests replacing such bulbs with compact fluorescent lamps or light-emitting diodes, which use 25-30 percent less energy than incandescent bulbs and last eight to 25 times longer. If you're prepared to do some minor electrical work, installing dimmer switches for indoor lighting is also another good energy-saving option, Good House Keeping reported. These switches take under an hour to install and double bulb lifetimes. Plus, they only cost around $10 a piece. Motion sensors quickly cut energy use for outdoor lights. Additionally, if you've got a rarely-used guest room or two, these can come in handy indoors as well. Once you've improved your existing situation, consider adding some accessories to maximize your home's energy efficiency. If you want to make a quick, substantial impact, acquire some Energy Star-certified appliances. These add-ons are designed to conserve energy and, since their rise in 1992, have saved users more than $350 billion in utility costs and prevented an estimated 2.5 billion tons of greenhouse gas from entering the atmosphere. Looking for more cost-effective solutions? Install low-flow faucets and toilets or purchase energy-saving home decor like heating blankets. Additionally, put programmable thermostats in high-traffic areas. These automated tools will enable you to maintain a balanced indoor temperature and save you big money on cooling and heating costs. For every degree you lower your thermostat over an eight-hour period, you save 1 percent on your utility bill. As you can imagine, most kitchen appliances – especially ovens, ranges and refrigerators – aren't very energy efficient. So, consider scaling back your current appliances. For instance, getting rid of a second refrigerator or freezer will save you as much as $700 in energy costs. Also, address your cookware. Replacing your old saucepan with a newer model that heats more evenly will reduce your prep-related energy consumption. Of course, you could take a rest from the kitchen altogether. Grill outside instead or test out new recipes that require little gas- or electric-powered prep. Salads and gazpacho are no-fuss, flavor-rich options, Bon Appetit reported. After you've planned and executed your spring energy-saving strategy, call in a home inspector to perform an energy audit. You might have room for further improvement.